As I am sure you’re aware by my sudden change in tropical posts, that I have been in wonderful Mauritius for nearly 11 days! I first went to this beautiful island about 8 years ago, and wow it has it changed! There are a lot more hotels and the roads are definitely busier. Although Mauritius comes across as a small island in the middle of the Indian Ocean, it actually spreads 2,040 km long and has over 1.2 million people! 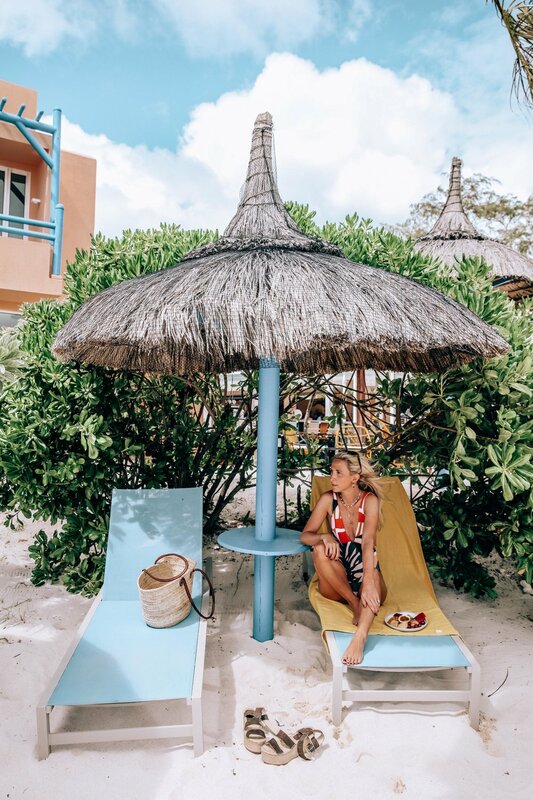 I was invited to Mauritius for a press trip with Bird PR to a stunning new hotel called SALT of Palmar, which is on the East coast of the island. On this wonderful and well organised trip were also these extremely talented humans We the People Style, Richard Lee Massey and Kate Lavi. We spent 5 days at this unique, sustainably run hotel and I am bursting at the seams to tell you how incredible it is. 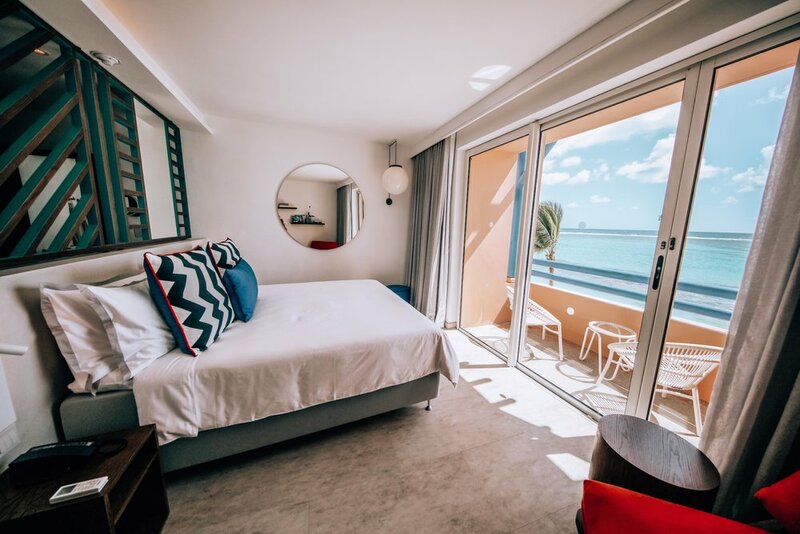 It’s honestly not just a beautifully well designed boutique hotel, it’s an experience you’ll never forget. After stepping off a long-haul flight (12 hours), we were greeted by the warmest smiles, welcome drinks and a short meditation session on the beach, ensuring we leave our day to day stresses at the door. We then experienced an extraordinary high-tech checkin - who needs a room card, when you have a phone app with your room key on it? Yes, that’s correct, you unlock the door with your phone - genius! We settled into our exquisitely well designed room, with the most epic balcony view of the Indian Ocean. Having wandered around the room to check all the necessities one needs in a hotel room, I quickly realised this hotel was a cut above the rest. Having made it my new years resolution to stop using single use plastic, this quickly became one of my dream places! Not one piece of single use plastic on site! They even provide you with your own aluminium water bottle to use during your stay and take home after. 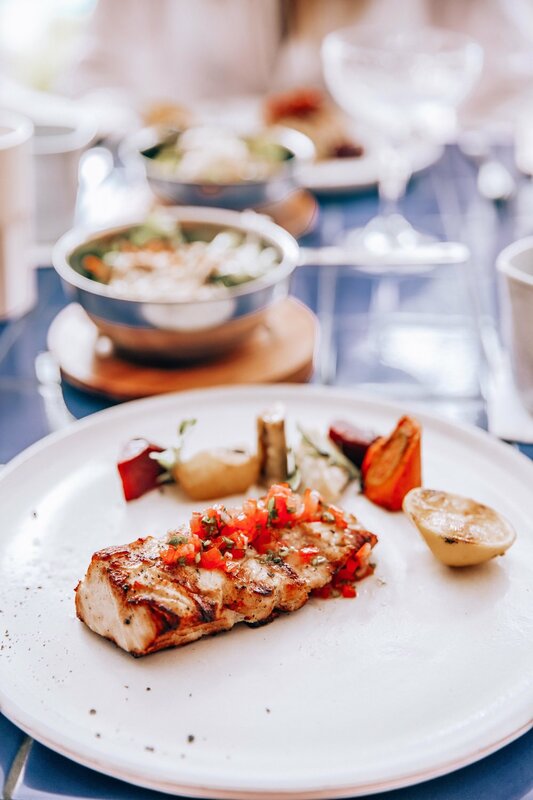 But hang on, I haven’t even told you the best part yet… SALT locally source ALL their produce from their SALT farm and market, pottery by their local potter, interior created by a local artist, and even down to the weaved beach baskets in every room! 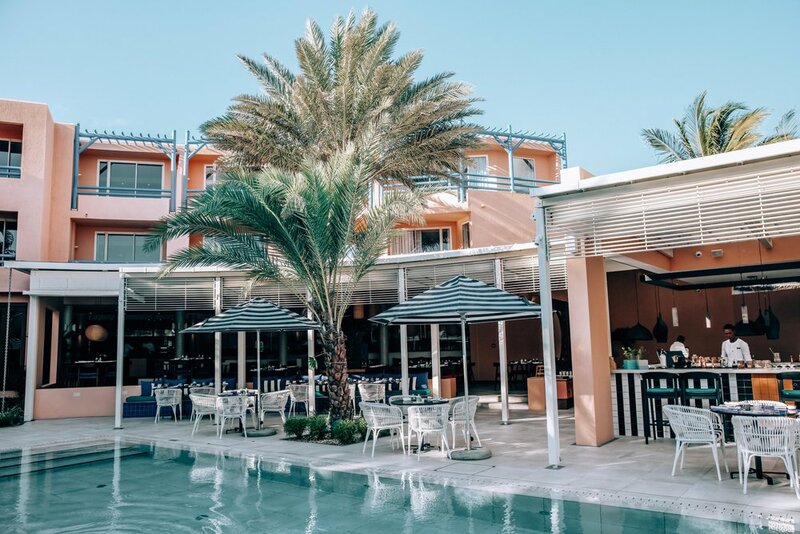 This hotel and all it’s wonderful parts have been handmade from local entrepreneurs ( who they call SALT SHAKERS) are passionate and proud to call Mauritius their home. There is a piece of each person in every room, and honestly you can feel it! Don’t even get me started on the organic handmade bath products (paraben free)! Which hotel have you been to that has a HANDMADE hair mask, body scrub and a bar of soap? Agreed, nowhere (that I’ve been)! As it was a press trip with Bird PR, we had a super itinerary planned for our time on the island. Having looked at the SALT website prior to my visit, I was well and truly surprised and If I am being honest, the website doesn’t give this property enough justice. The moment you walk into SALT, you are blown away by the colours and and unique architecture - which somehow makes me think of a RIAD in Morocco. 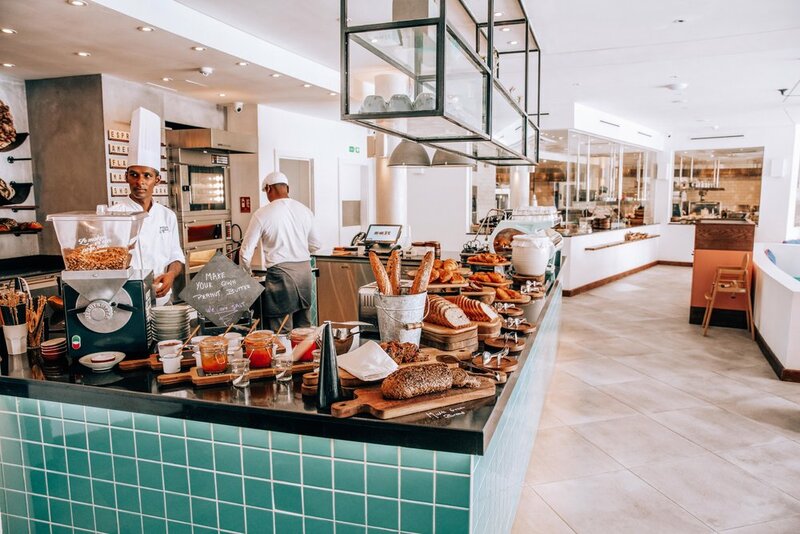 Over the five days at SALT, we were taken on a cycle tour around their local town, visited FLAQ market where they buy all their produce, pampered in their spa (they have a revitalising room made of SALT! ), exercised doing pool fit with their onsite fitness teacher, swam in their crystal clear ocean and walked daily down their white/ pink sandy beach, but also ate and slept like never before. Although SALT doesn’t come into the bracket of a luxury ‘wellness’ retreat or resort, I have stayed at my fair few over the years and although I like breaking away from technology, being present, eating healthily and on occasions detached from the world, I have found some of those resorts can put you out of your comfort zone and it actually makes your feel uncomfortable - if that makes sense? At SALT, I felt present, cleansed, healthy, comforted all in one go and I’m not sure anything beats that! Proudly wear their butterfly badge – it means that Positive Luxury define us as a genuinely responsible brand. I could write about this boutique hotel until the cows come home, but it’s actually something you need to see and experience yourself. The value for money is second to none and it will be a holiday that makes you come home as a kind, relaxed human being that sees the world in a different colour. I impore you to book a stay at SALT. Thank you to Bird PR for organising this unforgettable trip and thank you to SALT - for making me feel so welcomed and cared for. There is nothing better than going abroad, but feeling like you’re at home. I hope to visit again one day. Please visit - SALT resorts website for more information on booking your stay. Thanks for reading, I will be back soon with part two - Mauritius.